Q: "My Nokia Lumia 1020 has been working quite well for a year and a half since I bought it. And my friend recommended me to switch a new Samsung Galaxy S5 saying that I won't be disappointed. So I made up my mind and went to buy it yesterday. Then I found that there are some photos means a lot to me and I want to keep them only to find that I haven't a clue about how to export photos from my old Nokia to Samsung. I'm going to donate the old Nokia to the goodwill store so I need to transfer the photos as soon as possible. I wish someone can give me some suggestions about that. Thanks a lot." Syncing photos from Nokia to Samsung isn't a problem at all as long as you have the MobiKin Transfer for Mobile software. This third party tool can let you export photos between any two smart phones. 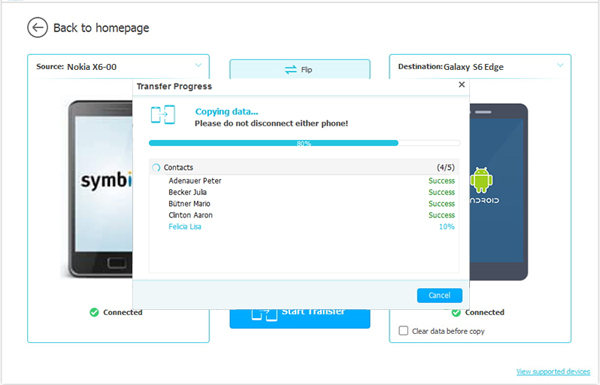 For instance, you can transfer photos from Android to iOS, Symbian to BlackBerry, Windows Phone to Android and so on. With it, you are able to export photos from Nokia to Android phone with no hassle. Contacts, music, text messages, call logs and apps can be copied between them as well. 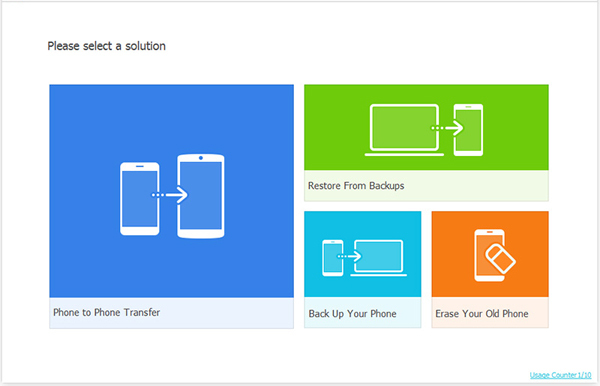 To sum up, it allows you to move photos from Nokia to any Android phone or from Android to Nokia as you expect. Now download a free trial version and start exporting the photos under the instructions below. Download the free trial Windows version if your computer runs Windows 8/7/Vista/XP system. Mac users can turn to the Mac version. Connect the Nokia and Android phone with your computer via USB cables and launch the program. Choose the Phone to Phone Transfer mode on the menu and the software will start to detect your devices. Remember to keep the smart phone connected with your PC all the time. After the detection, the Nokia and Android phone will be put in the source and destination area under random circumstances. Adjust their positions up to your satisfaction by clicking Flip. Then you can tick Photos and hit Start Transfer to begin to export photos from Nokia to Android phone. 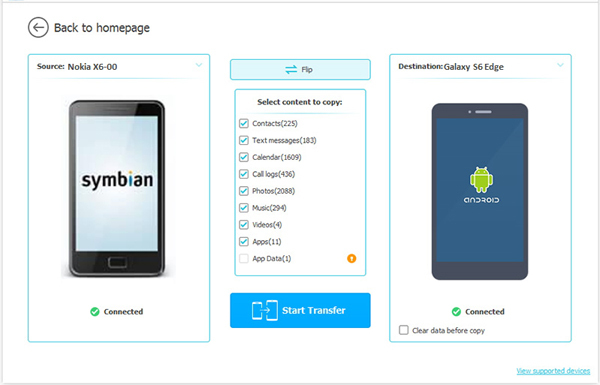 Get MobiKin Android Data Transfer to transfer photos between Android phone and computer, and other files like music, videos, apps, contacts and books are included.